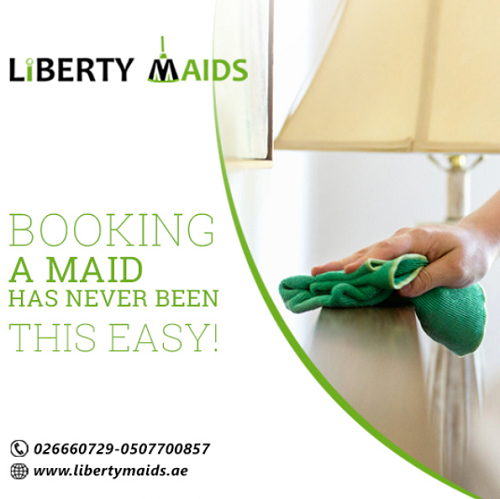 Liberty Maids is a professionally managed maid and cleaning Services Company in Abu Dhabi. We specialize in Residential Cleaning, Office Cleaning, Party Help, Baby Sitting and Pet Care Services. We believe our Greatest Asset Is Our Customers! We treat each one like they are the only ONE! Our aim is to provide the best cleaning services in Abu Dhabi, Dubai, Sharjah, Al Ain and other parts of UAE at an affordable price for all. We understand the value of your possessions and treat it with utmost care. We are a registered legal Part Time Maid service, and provide total Home Care Solutions, Party Cleaning Service and Pet Care. We are Flexible, Affordable and Through Professional who believe that the Customer always comes first! We believe in providing flexible services for flexible prices! Whether you are looking for a daily, weekly, Monthly or a One-off Cleaning Service we will provide as per your wishes.